To get up to speed with what’s gone before the start of the sequel: in the year 1836, young farm lad Mason Algiers Reynolds, accompanied by a black man named Otha and Mason’s dog Arf, meet up with Edgar Allan Poe, an amoral mastermind with a mission. The group travels to the South Pole and enters a giant conduit to the interior of our globe, which, despite a sizable thickness of “the Rind,” proves entirely hollow. 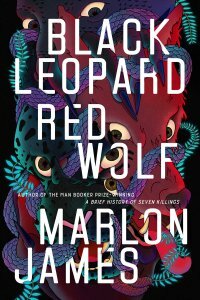 They discover a flourishing ecosystem of weird beings, included some transplanted humans. Mason falls in love with one, a woman named Seela. After many adventures, Mason, Seela and Poe journey through a spacetime Anomaly at the center of the Hollow Earth and find themselves in another continuum, MirrorEarth. Also, it is now 1850, since a chrono-disjuncture has occurred during transit. On MirrorEarth, MirrorPoe kills the original Poe, and a saddened Mason and Seela settle down to a nearly normal domestic life in Baltimore. Oh, yes: since the inner luminance of the planet has darkened their skin, they are regarded as Negroes. Our new tale picks up almost immediately. Seela is pregnant and the couple decide to make a new life in California, embarking on a ship, the Purple Whale. Entering the scene is a new character, one Connor Machree, who seems to be privy to the reality of the Hollow Earth, and who also possesses several of the mysterious “rumby gems” that facilitate psychic powers. Fending off Machree, our lovers embark. However—a spoiler, but only deriving from Chapter 2—their ship is sunk en route and they are rescued by a miraculously living Poe, the same one who accompanied them previously (the MirrorEarth Poe, our familiar legend, has already died). Seela’s baby is born and named Brumble, and before you can say “John Cleves Symmes, Jr.,” our crew has voyaged—via a giant flying “nautiloid” named Cythera—to another inlet leading into the Hollow Earth and returned to that place of mystery and wonder. But with one quibble. Since they entered from MirrorEarth, this is really the distinct interior of that doppelganger planet, and here they find alternate versions of Seela and many other folks, to complicate matters. But these quirks do not stop Mason and company from discovering that the woomo, the dominant form of life beneath the Rind, are much more than they seem, and have a plan to bring about something called “the Bloom.” A plan that will enlist Mason and Seela and their other friends as well. Let’s look at the similarities between the two books, and then the differences. In both, Rucker allows himself about a hundred pages of Earthly action before conducting his cast inside the planet. This wise move facilitates the reader getting to know the characters and see how they interact outside the presence of bizarre creatures and otherworldly circumstances. In both books, there are characters who start out seemingly destined to play their part straight through, but who detour off the stage. In the first book it was Otha, in this second one a young sailor—girl masquerading as boy—named Crispa. This is not an arbitrary move, I believe, but a nod by Rucker to the way real life features folks who come and go in our personal spheres. In both books Rucker adheres to a stringent physics for his Big Dumb (Innerspace) Object. The venue inside our world is logical and coherent, however bizarre. And in both books our narrator/hero Mason remains an ingenuous farmboy, no matter how many eye-opening escapades he’s had. In truth, the realtime action of the whole sequence is just a bit over a year, following Mason from age seventeen to age eighteen, so this is a realistic call. And in both book’s Rucker’s pacing is pell-mell, leaping from one revelatory set piece to another. These are not slow contemplative novels by any means. The new book does indeed exfoliate many of the secrets of the Hollow Earth, justifying its sequel nature. But whereas the scope of the first book was rather personal and terrestrial, this volume also deals with species-wide matters that extend into space. On top of that, its ending pulls a sly surprise metafictional move, breaking the fourth wall in a way the first book did not. Additionally, we complete the character arcs left in suspension at the end of the first installment and our protagonists achieve a eucatastrophe that utterly validates their verismilitudinous lives. The mention of the reality of these personages brings up another facet of change: in the dialogue. The first book featured, I thought, more authentic 19th-century locutions, whereas in this volume the characters occasionally lapse into the signature rhythms of speech that characterize Rucker’s more contemporary people. This applies particularly to Seela, who says things like, “Live in the present…Today we cut off Fafnir’s head.” Admittedly, the super-intelligent native of inner Earth has quickly matured and adapted to her new circumstances, yet she’s lost a bit of otherworldly charm in the process. But basically the two books exist quite harmoniously, despite the large gap of years twixt their composition. The blending of typical Ruckerian cosmological insanity with 19th-century mindsets proves to be a stimulating concoction. 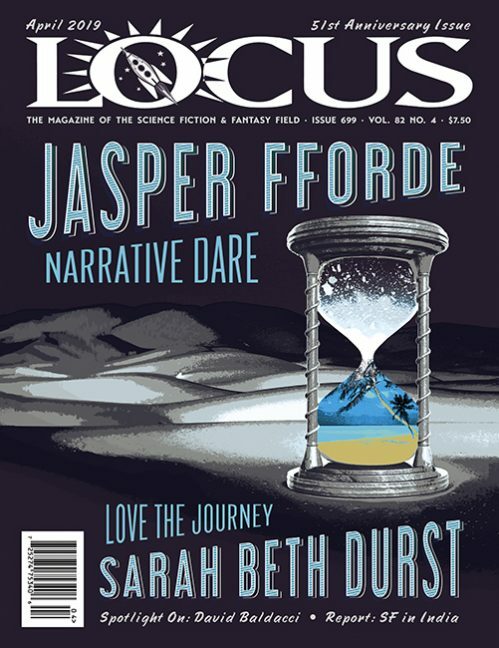 Toss in some time-travel frissons at the end, when that metafictional stagecraft happens, and you have a book that is dense with the kind of intellectual “eyekicks” for which Rucker is justly famous. It’s a tribute to the wild-eyed tales of Poe and his peers that is also an up-to-the-minute 21st-century SF production. 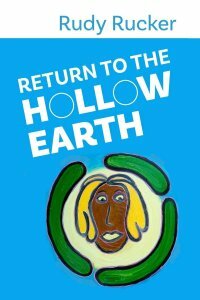 As lagniappe, you can also purchase Notes for Return to the Hollow Earth. This book will be catnip to a select few, since at over 300 pages it details the behind-the-scenes compositional methods, travails, forethoughts and slogging that Rucker meticulously recorded as he grew the book. Like some master class in SF writing, it will impress, dismay, enlighten and astonish in equal measures. Rucker shows us that writing a novel is like entering the Hollow Earth and surviving the rigors therein. You hurl yourself into a maelstrom, then employ all your wits, strengths and insights to flourish and reach your goal, with many pleasures and headaches along the way.